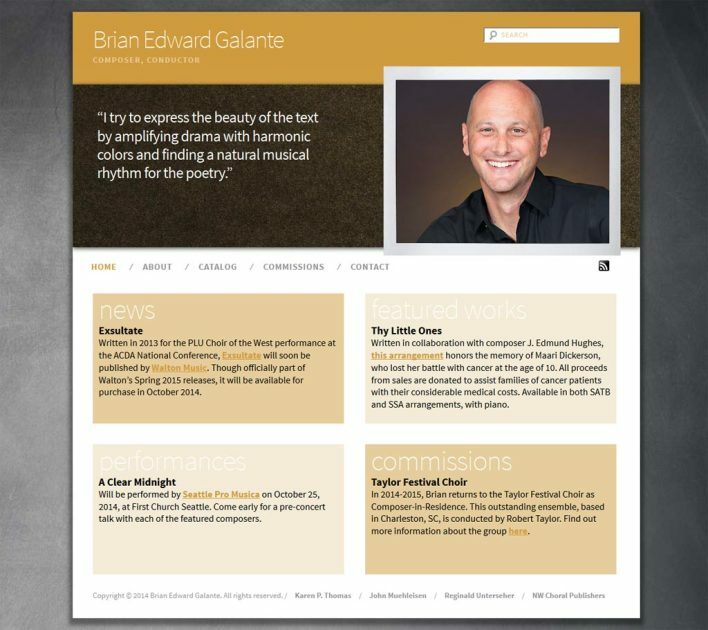 The 3rd co-branded website for composer-conductor Brian Galante in a series launched for Northwest Choral Publishers. WordPress. By Designers. For Designers. We are having a great year event-wise. We are going to end up with about 14 social events this summer – up 2 from last year. We had our first 3 wedding with food-weekends this August as well. The website is driving many large and small overnight retreat inquiries that we are converting to rentals as well. Revenues are up accordingly and we are getting nice positive comments from City Council and staff. I can’t thank you, Scott and Joan enough. We appreciate your attentiveness to details and setting our marketing up to succeed.